The last two trailers we’ve seen from this movie don’t really give us enough information as to what it’s really about. The plot line seems pretty complex. I am huge fan of director Christopher Nolan and actor Leonardo DiCaprio though, so I know it will be good. Just knowing that much, and the little I’ve seen, is enough for me to shell out $10.00. However, friends over at FirstShowing give us a more in-depth synopsis into the world of Inception. Below Warner Bros. finally explains the central plot surrounding DiCaprio's character. No need to worry, there are no spoilers. WOW! I was always intrigued, but after reading this I'm way more excited now and I look forward to seeing it this summer. 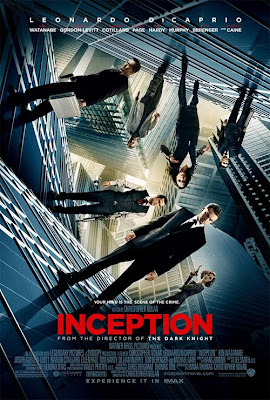 Inception is both written and directed by acclaimed Oscar nominated British filmmaker Christopher Nolan, of Memento, Insomnia, Batman Begins, The Prestige and The Dark Knight. Nolan previously co-wrote the scripts for Memento, Batman Begins, The Prestige, and The Dark Knight with his brother Jonathan Nolan. Warner Brothers is bringing Inception to theaters starting on July 16th. that sounds amazing. I hope I get to see it. Looks pretty good. His last five movies have been rated R, and I haven’t seen any of them, so I hope this one is not.